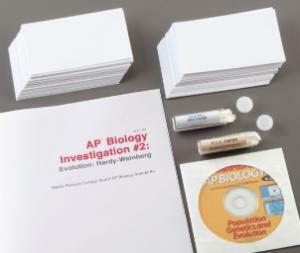 Meets AP Science Practices 1, 2, and 5, and Big Idea 1. In this lab, students focus on developing a mathematical model for biological populations based on the Hardy-Weinberg equilibrium using a spreadsheet program to record and analyze data. The investigation begins by examining the prevalence of at least one human phenotype within the classroom population and using this as a basis for building the mathematical model. Then, students will use this model to analyze genetic drift and effects of selection in the evolution of populations.